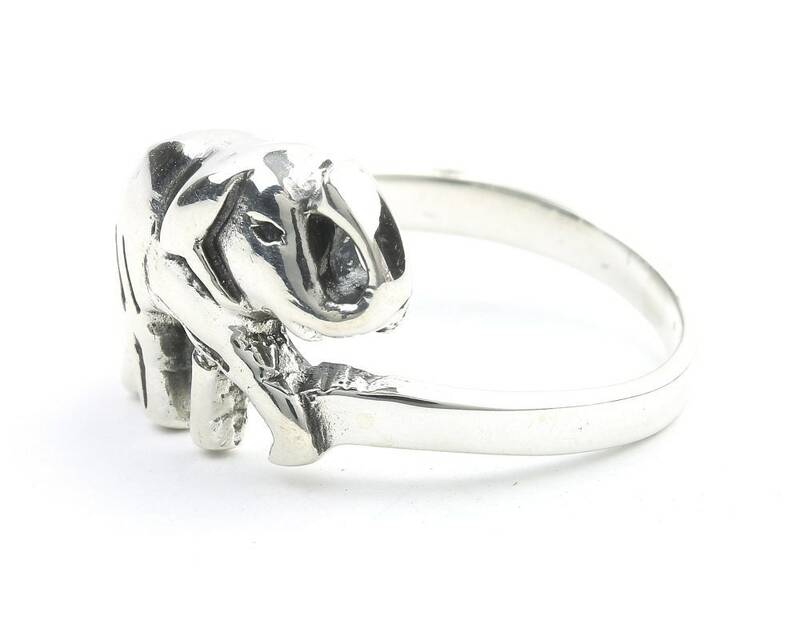 Sterling silver elephant ring with trunk up for good luck. 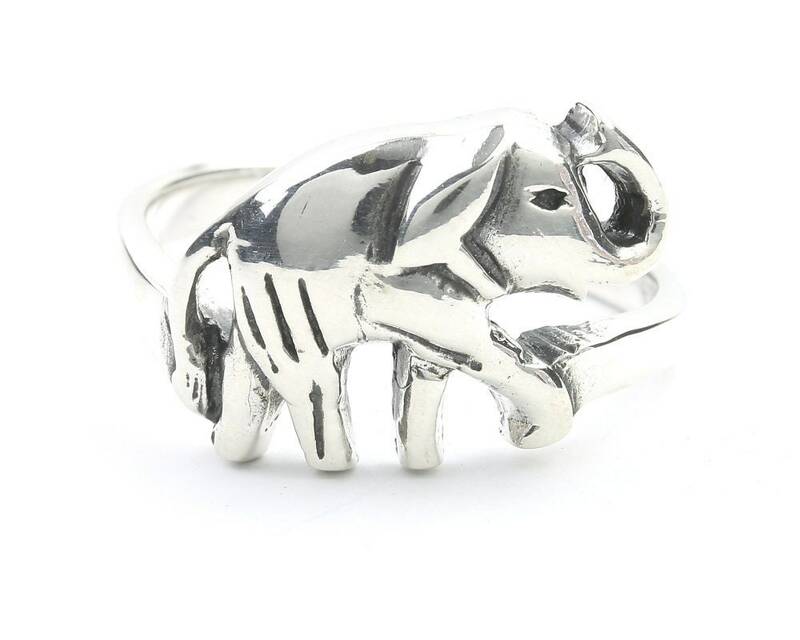 The elephant is a symbol of power, dignity, and peace. 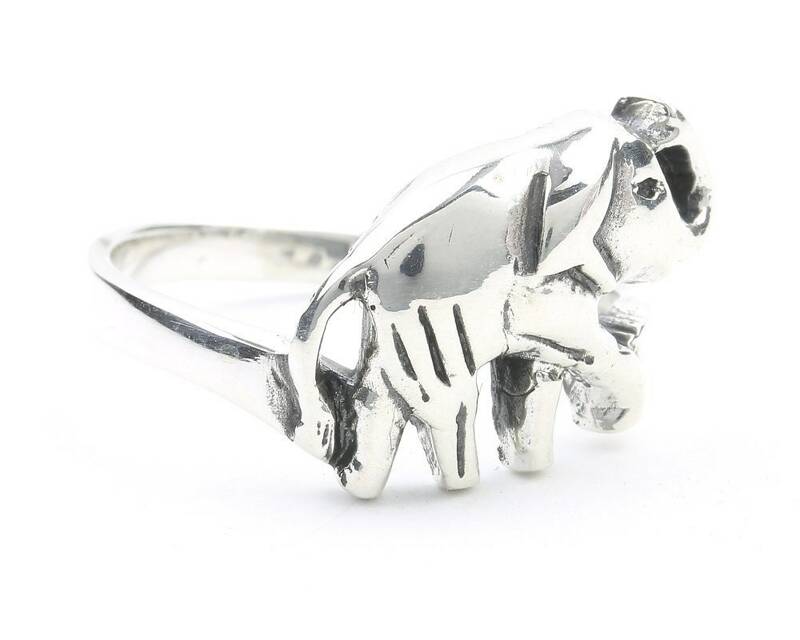 It is believed the elephant is a charm for good luck and good fortune.